More than a trend… an obsession! It's true! There are trends that go over the barrier of what is to be fashionable, to become an obsession. 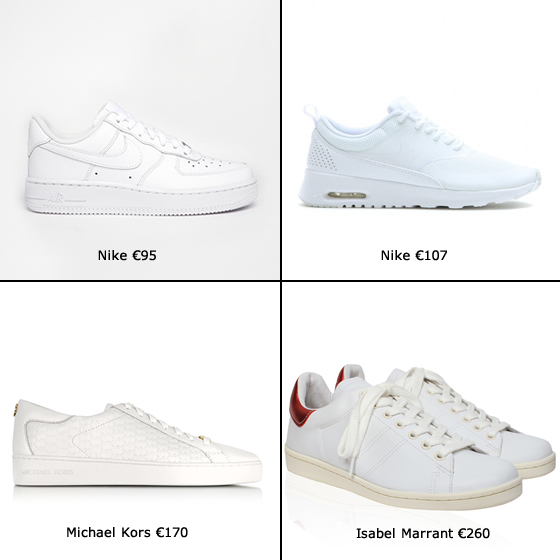 The white sneakers trend came after the famous sport chic vibe that made everybody mix tennis with formal clothes. We start seeing celebrities and other it girls with pencil skirts and sneakers, coats and sneakers, etc. 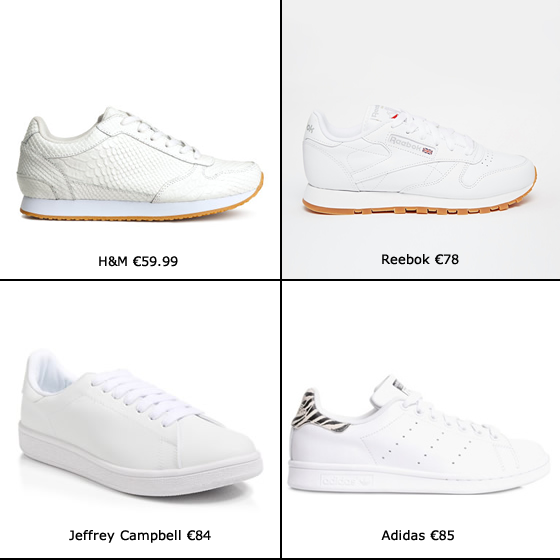 But suddenly everyone started wearing white sporty sneakers, mostly Adidas which sales I believe got over the top. As always, and after seeing this trend everywhere we can’t do much as buy our own. 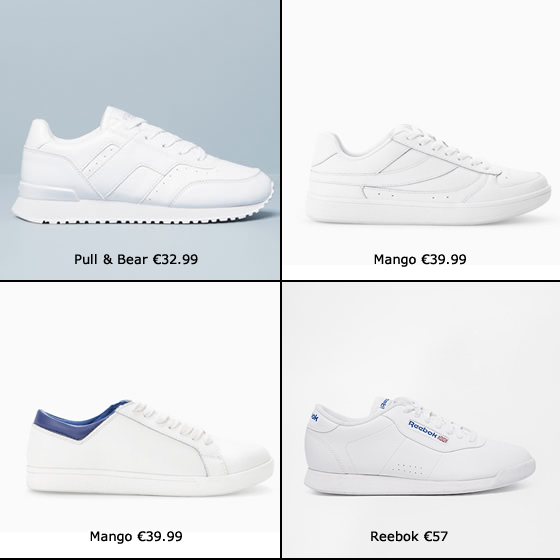 There are plenty to choose from, from more affordable to more expensive, check the shopping and some street style pictures. You look great! I love your little Givenchy bag! 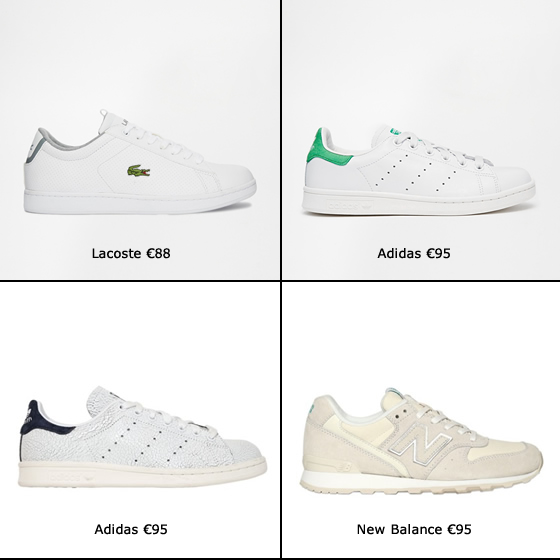 I like the Stan Smith model. However, I bought a pair in Stradivarius and they're cool too. 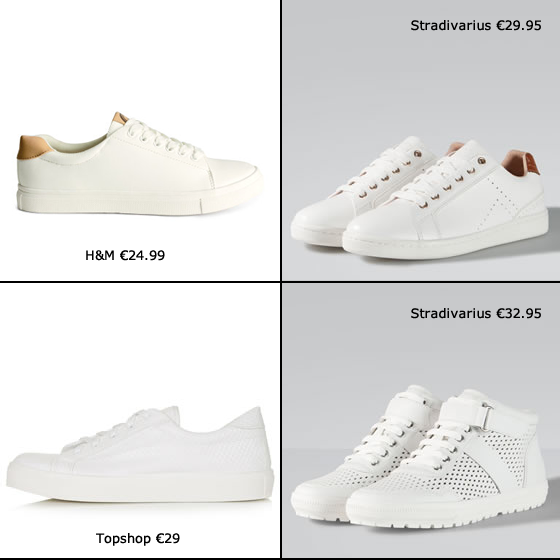 I would chose the ones from Mango :) hot! I love love love the Stan Smith model! So in love with this look! 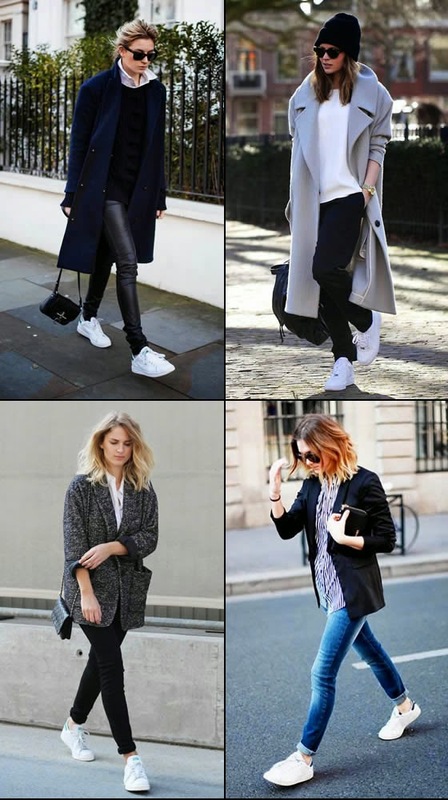 Me encantan sneakers blancos. De hecho me han regalado unos de PUMA para mi cumple. Un beso.